n April 2014, Tad Williams announced “The Last King of Osten Ard”, a sequel trilogy to “Memory, Sorrow and Thorn”; the first volume of the new series, The Witchwood Crown, is expected in Summer 2017, with subsequent volumes Empire of Grass and The Navigator’s Children published sometime thereafter. In September 2015 came the news, leaked by Tad Williams on his Facebook account, that another Osten Ard novel, in addition to the three already announced, was in the works. Williams revealed the working title of the fourth new Osten Ard novel on his message board; the title is The Heart of What Was Lost. The original title was “Heart of Regret”, and I still lean toward that, although Deborah is worried that it’s too much of a downer and would rather have something about the Battle of Nakkiga in the title. (The Heart […] is a symbolic jewel belonging to an important Norn character, but the words also say much about the nature of the story and its events.) 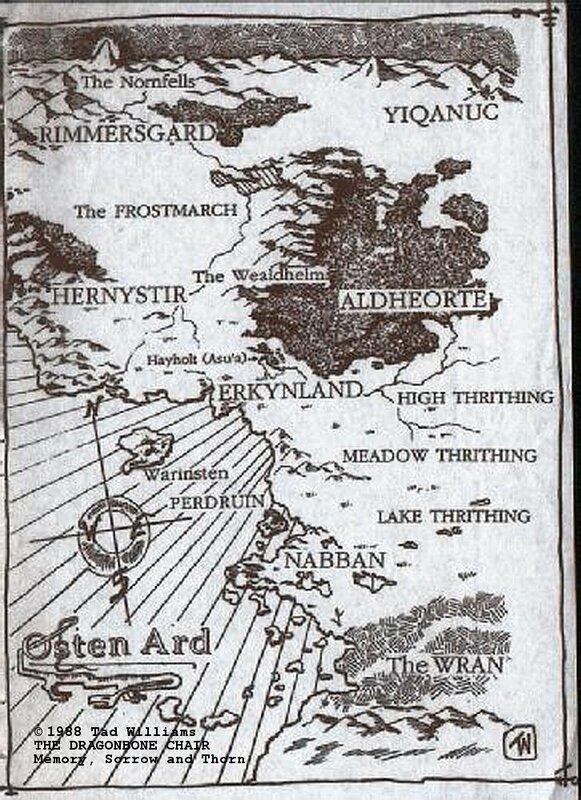 It takes place in the half-year after the end of [To Green Angel Tower], and tells of the attempt by Isgrimnur and a force largely made up of Rimmersgard soldiers to destroy the remaining Norns as they flee back to their homeland and their mountain. Of course, it gets a bit more complicated than that. It also answers some questions about what actually happened in the immediate aftermath of the fall of Green Angel Tower. The Heart of What Was Lost continues almost directly from the ending of To Green Angel Tower. Later announcements indicated that The Heart of What Was Lost would be published in early 2017. The Heart of What Was Lost was released in January 2017 to rave reviews. National Public Radio (NPR) stated the novel balanced “warmth with grimness, and gentle bits of humor with violence and vengeance. Williams has tapped back into the dynamic that made “Memory, Sorrow, and Thorn” so absorbing.” Barnes and Noble called The Heart of What Was Lost a “glorious return to a landmark work of epic fantasy”. It is available now on Amazon, Barnes and Noble, and other fine retailers.